Home » Collection » Study for "Greek Girl Dancing"
Study for "Greek Girl Dancing"
(Thos. Agnew & Sons Ltd., London); Mr. Weinberg; (Thos. Agnew & Sons Ltd., London); purchased by William B. O'Neal, Charlottesville, VA, 1972-1994; gift to NGA, 1995. 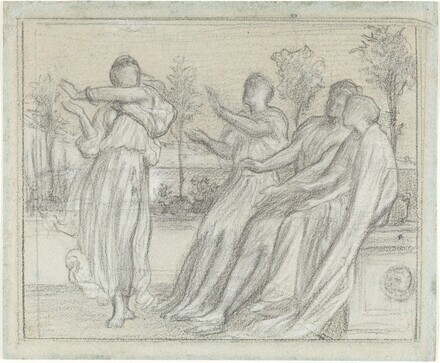 Drawings from the O'Neal Collection, National Gallery of Art, Washington, 1993, no. 55. NGA O'Neal 1993, ex 55.